Mainly sunny. High 91F. Winds SSW at 10 to 20 mph.. 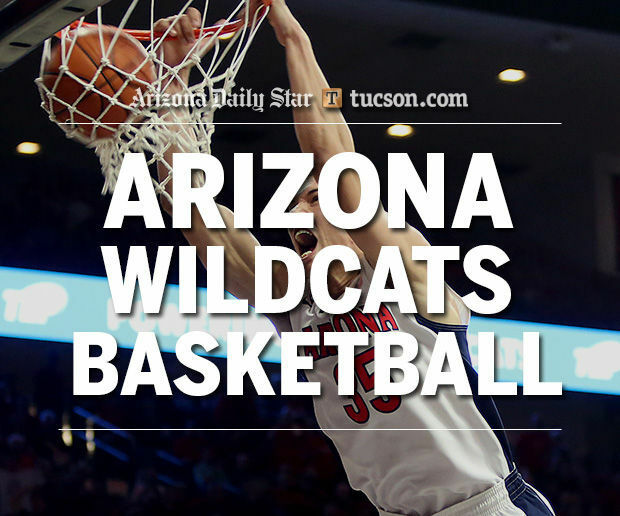 The Arizona Board of Regents on Thursday approved one-year contract extensions and accelerated retention plans for UA basketball coach Sean Miller and athletic director Greg Byrne. The approvals, which were made without public discussion as part of a consent agenda during a regent meeting in Flagstaff, mean Miller and Byrne will receive an added year of 2019-2020 to their contracts, while their booster-funded retention plans will now be fully payable if they stay until 2020 instead of 2022. With a $100,000 raise in 2019-20, Miller will be scheduled to receive a total guaranteed package of $2.8 million that season, including $1.7 million in base salary, plus $700,000 from the UA for peripheral duties and another $400,000 total from IMG. Byrne will receive an extra $25,000 in 2019-20 that will bring his salary to $750,000. In the booster-funded retention plan, Miller and UA football coach Rich Rodriguez each have stock set aside that is currently valued at $4.1 million, and they can now collect it fully by 2020. Byrne’s plan has stock valued currently at $2.3 million. At a regents meeting in June, Rodriguez had similarly structured deals approved. He received a contract extension through 2019-20 and a retention plan that is payable in 2020. All three employees will also receive separate, university-funded, retention bonuses if they stay until 2016: Miller will receive $2.1 million, and Byrne and Rodriguez will each get an extra $500,000. Former UA forward Gene Edgerson is among the roughly 150 officials attending a three-day Western Officiating Consortium clinic this week in Phoenix, saying he is going to be working Big Sky Conference games this season after having officiated high school and other amateur games in recent years. The consortium includes the Pac-12, Mountain West, West Coast, Western Athletic and Big West conferences, while Big Sky officials are also invited to the clinic. The officials held six hourlong breakout sessions on Thursday and will hold three more on Friday, reviewing and discussing difficult plays from last season in categories such as illegal screens, block/charge calls, and freedom of movement. Bobby Dibler, officials coordinator for the consortium, said he requires each official to send his staff a video snippet from a difficult call from each game to be studied. Many of them landed in Thursday’s breakout sessions, including a call against UA center Kaleb Tarczewski while hedging a screen at Cal and a charge taken by UA guard Gabe York at ASU. “We’re trying to improve in our ability to officiate the play as the rulebook is written,” Dibler said. Former UCLA and St. John’s head coach Steve Lavin is scheduled to address the officials today from a coach’s perspective. Lavin will be an analyst for both the Pac-12 Networks and Fox this season. Another reason for the Arizona football team to put on a show Saturday against UCLA: Top basketball targets Mitch Lightfoot and Marvin Bagley of the Phoenix area are scheduled to be on hand during unofficial visits. Lightfoot, a former Ironwood Ridge forward now playing for Gilbert Christian, is a 2016 prospect who is scheduled to take an official visit to the UA on Oct. 10 along with Finnish forward Lauri Markkanen. Bagley is regarded among the top prospects in the class of 2018, having helped Tempe Corona del Sol to a state title last season before transferring to Hillcrest Prep. The UA will begin full-length preseason practices next weekend and has scheduled its annual preseason media day for Friday. Teams are allowed to start full practices six weeks before their regular-season opener, and the UA opens on Nov. 13 against Pacific. , a five-star guard from the class of 2016, did not include the UA on a list of eight finalists he tweeted out Wednesday. According to 24/7 Sports’ Crystal Ball, 50 percent of analysts listed predict he will choose Kentucky. School also wants to increase graduation rates, degrees in high-demand fields.